I’ve heard of the event before but never joined any. 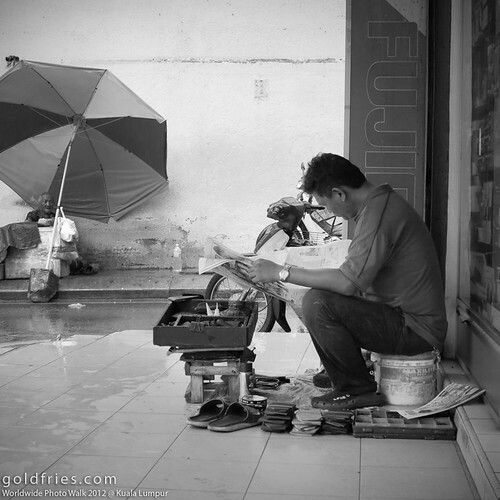 I decided to join this year, after all the commercial photography work, this looks like a great opportunity to walk around the streets of Kuala Lumpur and do some street photography. A. Itâ€™s a social photography event where photographers get together (usually in a downtown area or trendy section of town) to walk around, shoot photos, and generally have fun with other photographers. To sum it in my own words – it’s a world wide event but held in groups, usually within a city, town or whatever close geographical location. The group meet, and take photographs as they walk along the designated route. Here’s an example of a route, as described by our local Walk Leader – Mr Raja Indra Putra from PSPJ. We have breakfast at Nagasari Curry House then start walking at 9.30am heading to Jalan Alor and enter Jalan Tong Shin and come out to Jalan Bukit Bintang. We make a diversion to Pudu Jail and then return along the same route back to Jalan Bukit Bintang. We walk along Jalan Bukit Bintang (you may make diversions off this road to explore areas around Bukit Bintang area in particular we will drivert along Jalan Sultan Ismail heading to Sungai Wang Plaza and then backtrack back to Jalan Bukit Bintang and finally head to Pavilion. We gather at Coffee Bean in Pavilion at 12 noon for lunch. Well yeah it is ……. BUT I decided to throw a few challenges to myself. In reference to the Worldwide Photo Walk site – you have prizes waiting for you, IF you churn up the best photos. 😀 But hey, if that’s not your priority it’s fine too. That’s not my priority either. I was challenging myself with the above and hope to get some nice pictures, which I did. My Photo Walk album (38 pics) can be seen on my Flickr set. *38 pics for the album out of 192 pictures available! That’s ~20% success rate!!! The ~80%, they were duplicate compositions of the 20% (you know, you take a few of a scene, attempting various settings), failed photos (those that are lousy but not deleted), and photos where the composition is of nothing special or interesting. Oh and most of them are on ISO 800 – 1600 range. #1 – I was caught in the rain so I decided to have early lunch. I was sitting right in front of the preparation area. The sight of the guy eating, and the preparation on-going at the back makes it an interesting frame. I did my best to capture the words, exposed the area inside and outside, and also having the full body of the person eating. #2 – Yet another shot taken when I was caught in the rain. I saw 2 guys preparing an umbrella to cross the road. So I thought they’d be great subjects. 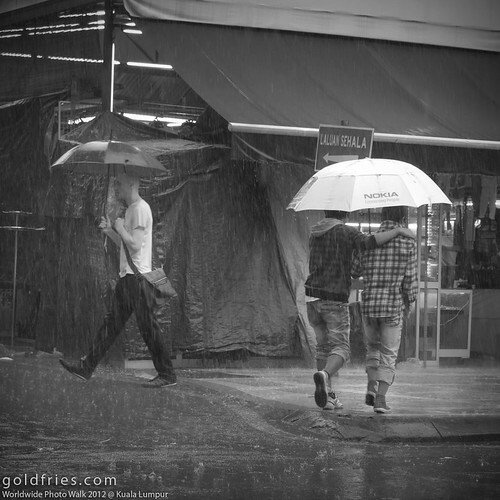 What’s great was that while they were crossing, another man with umbrella was coming from another direction. So I get 2 subjects going different direction. It just shows how people weather through the rain, where alone or with a friend. 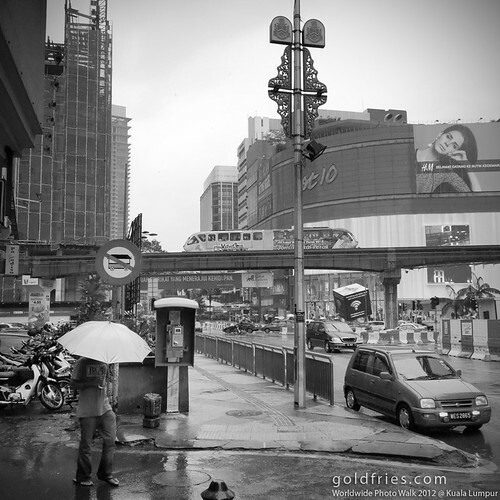 #3 – This was a store along Jalan Bukit Bintang. I was attracted by the arrangement of goods, and thought focusing on the shopkeeper would be great! I got lucky on this shot actually, the shopkeeper was looking down at his phone when I was framing but he looked up just before I pressed my shutter. 😀 Lovely! 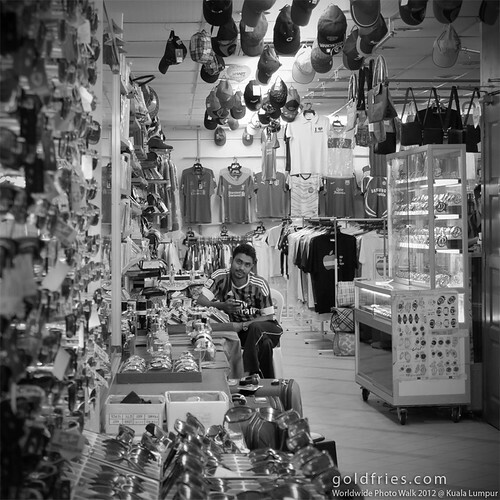 #4 – Passing by a cobbler, I thought his wait for customers could be an interesting frame. Upon composing, I saw an old man at the background, just across the lane. I had to wait for the old man to face the right angle, and wait for him to puff his smoke. #5 – Probably one of the hardest of the shot so far. I loved the view but I wanted more out of it, I wanted ACTIVITY! So I stood there for many minutes, waiting for 3 main elements that I hope come together. First, the monorail. Second, cars. And Third item, the most difficult – passer(s) by with umbrella. 😀 I’m so glad to be able to have all 3 key elements that manage to enter the frame at the same time! Me? Well I ended up being on a solo-mission, for the most part. I must admit I like going solo on such activities, truth be told I find a lot of people just prefer to FOLLOW rather than learning to SEE what to photograph – that’s where you see 2 or more cameras shooting the same subject at the same time. That’s why I stayed back and let the crowd went ahead…. the rain just expanded the gap. Call me selfish for not sharing but hey, I share AFTER the session, not DURING the walk. What camera to bring? It’s all up to you – as you can see I’m using a compact camera. I find it less intimidating (less threatening) to the public, draws less attention too and much more convenient. *I think my G1 X is probably heavier than my EOS 350D + 50mm f1.8 II. OK enough of my article – I enjoyed my outing today. Does it sound interesting to you? If it is, look out for it next year! 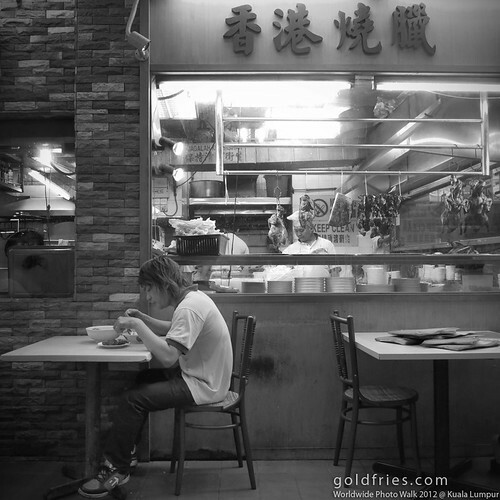 © 2007 - 2019 goldfries.com | Powered by WordPress | Theme by goldfries | 69 queries in 0.683 seconds.